Peer-to-peer solar equipment leasing marketplace Sun Exchange has raised $1.6 million USD in seed financing from a group of strategic partners, which includes the New York company Network Society Ventures and three other American technology accelerators to “accelerate global access” to solar power. Sun Exchange’s model works by p2p equipment leasing through a combination of blockchain technology and cryptocurrency (e.g. Bitcoin) with solar leases. 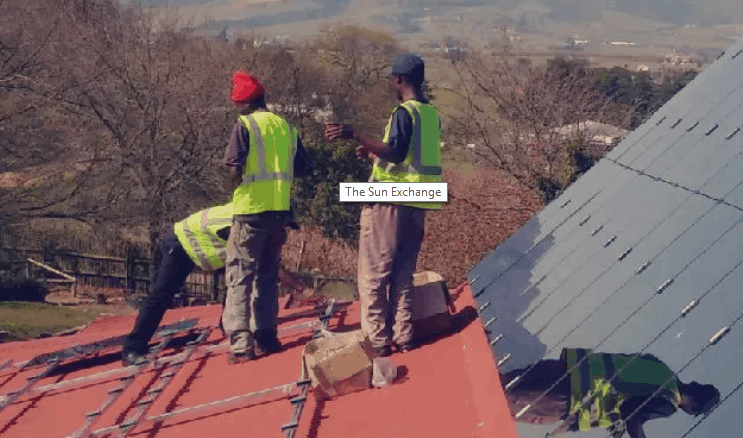 Based in South Africa, Sun Exchange allows anyone to buy solar cells throughout the world and earn rental income from them. They have been in the African energy market since 2014 and have expanded rapidly with a headquarters in California and another operating office in Dubai. The company won Best Bitcoin and Blockchain Business in Africa for consecutive years (2016 and 2017) at the Africa Fintech Awards. The blockchain records the solar assets and payouts are in crypto-currency. According to Forbes this is known as “streaming monetized sunshine” and Sun Exchange are calling this part of the “save the world tool-kit”. Investors are seeing their solar cells installed and rented to places like Africa and the Middle East, and places like factories, schools, rural communities and hospitals are benefiting from this innovative technology. Given the fact that there are countries like Germany and Australia with massive amounts of solar power installed compared to places like South Africa and Namibia, it’s sensible to see the choice to invest in the latter developed countries where they have a large amount of daily sunshine and limited amounts of solar PV. This works both from an economical and a philanthropic viewpoint. The Sun Exchange network pays its investors using utility ERC20 tokens known as GREEN which rewards users for installing and using renewable energy. This is part of the Greeneum Network which uses smart contracts and machine learning to run its current test projects in Europe, Cyprus, Israel, Africa and the United States. Greeneum are hoping to have the MVP (Minimum Viable Product) for the project completed by mid-next year. According to Sun Exchange this is the first marketplace of this kind where investors are able to help emerging markets that are “solar-rich but power-poor”. For example, there are currently ~600m Africans living without access to electricity. Estimates say that it’d cost $350b to provide them all with electricity so using distributed investors and solar energy are a great way to try and solve this problem. We’re excited to see how this project progresses and will update you as soon as there’s further news on their venture! In the meantime, if you’re interested in investing please click here to learn more about Sun Exchange and how you can get involved.